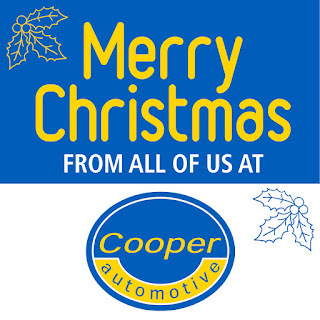 Our service centres will be open over the festive period, except for the weekends and public holidays. The exception is Hobart which will be closed from 12 noon on 24th December through to Monday 4th January as they are having their floor painted over the holiday! We have been selling batteries for 20 years through Cooper Automotive Service Centres and have now added the convenience of roadside assistance and fitment. If it’s on water or wheels we have the battery to suit. We only stock and sell quality batteries, all our batteries are backed by a replacement warranty. Need a specialty battery for your vehicle? From prestige cars with the latest technology right through to trucks, motorbikes and marine batteries, if it’s on wheels or water we have the battery to suit. We’ve been supplying Tasmanians with batteries for over 20 years. Why DIY, when we can Do It For You? Battery and vehicle technology have changed a lot over the years to the point where sourcing and fitting your own battery can be fraught with danger. So why DIY and risk getting it wrong when we can Do It for You. Our technicians can provide expert advice and professional fitting and it’s all part of the service. When Battery Shop replaces your battery, we’ll ensure your old battery is recycled and doesn’t end up as land fill. Even if you don’t buy a battery from us you can drop your old battery in to any battery shop for recycling. So when you need your next battery call the Battery Shop. And watch the video below for an easy way to remember our phone number!